*This post may contain affiliate links. See disclosures for more details. As we walked past the crafting area, my girls all let out howls of excitement over the bead sets. Jewelry making is one of their favorite pastimes, and when they clean up after themselves, I enjoy it too. It’s fantastic fine motor practice for the littles, patterning work for the early schoolers, and good old fashioned art for my older girls. Win, win, win! 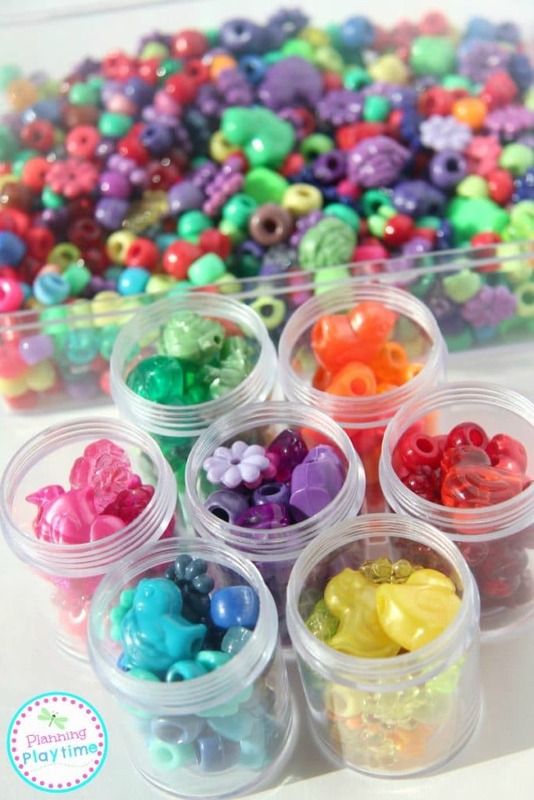 On this particular day, we found the cutest packs with hundreds of random beads in all shapes colors and sizes. We picked the pack that had adorable little chunky animal beads like ducks, rhinos, seahorses and who knows what else. It also had a mixture of pony beads, flower beads, gem cut beads, and lots of other fun stuff. They couldn’t wait to get their hands on them and start creating. The first thing we did, though, once the package was open, was our random beads color sorting activity. My preschooler and toddler are always needing color practice, and the older girls had a lot of fun sorting out color families. The beads came in so many shades of colors that it was a fun educational activity for them as well. 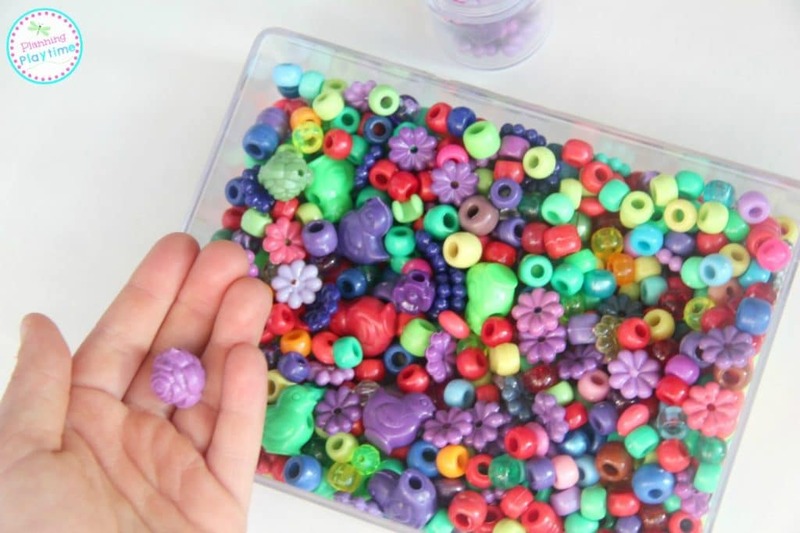 We had eight little hands in the bead container pulling out all of their favorite beads, and sorting them into the correct jars. The animals in with with flowers which were in with the more generic beads of the same colors. 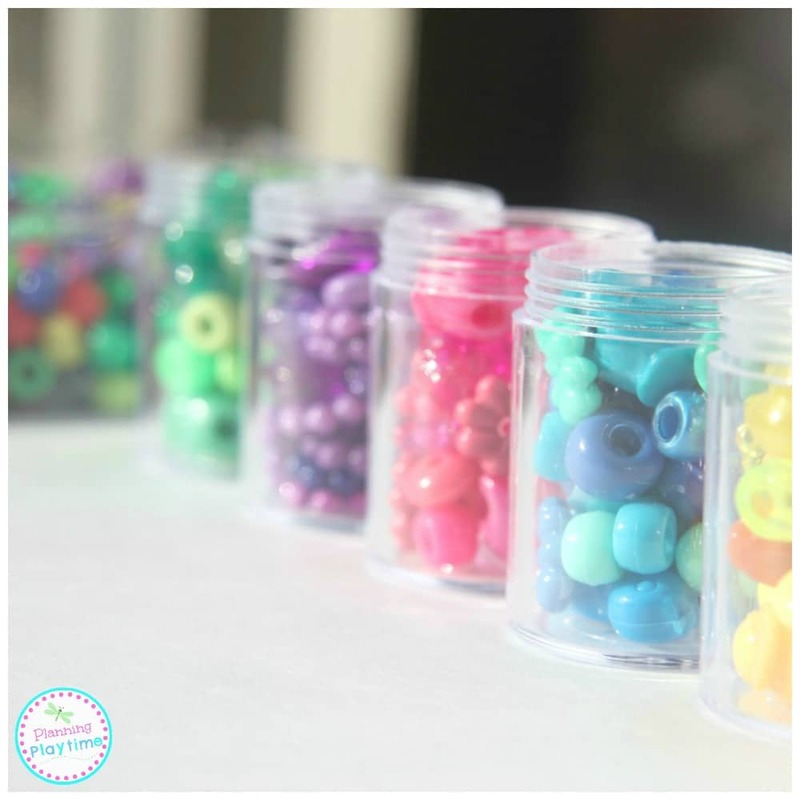 I love these random beads sets for a stand along color sorting activity, but they could also be used for other kinds of sorts. My preschooler can sort out all of the animal beads. He could then sort by animal type. The sort could be for transparent beads or beads of a certain size. Sorting is a wonderful educational activity because it teaches children to classify and put like things together. This is something they will be asked to do in preschool, kindergarten, first grade and beyond. 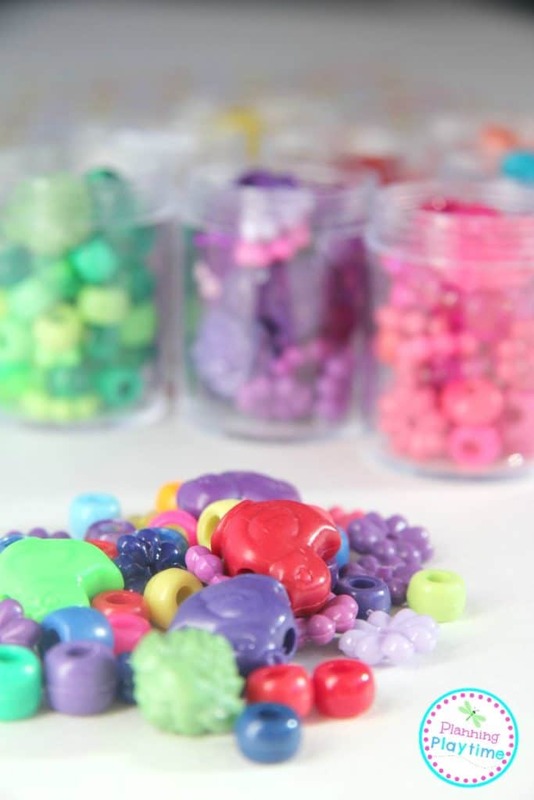 Of course you would only want to give beads to children old enough to not put them in their mouths, but once they have reached that age, it is an easy, fun way to provide them with some great sorting potential. We picked this set up for under $10, and it was completely worth it for the fun we’ve already had, and they’re safely stored in the craft cupboard for more fun to come. Thank you for taking a minute to check out our random bead color sorting activity. I hope you loved it, and if you are looking for beads, we’ll leave you some suggestions below. Have a happy, colorful day.